The CW‘s Arrow TV show has cast Josh Segarra as Vigilante and alter-ego Star City’s District Attorney Adrian Chase, in the upcoming fifth season. Deadline broke the news in an exclusive report. Echo Kellum was recently promoted from recurring to series regular status. Katie Cassidy recently left the super-hero action drama, after four seasons. The Arrow TV series cast includes: Stephen Amell, David Ramsey, Willa Holland, Paul Blackthorne, and Emily Bett Rickards. Be prepared to get an arrow through your heart. Here is a picture of Segarra promoting a rescue dog. Adrian Chase and his alter ego the Vigilante first appeared in the 1983 New Teen Titans Annual #2. A New York City district attorney whose family was killed by mobsters, Chase sought justice in his own way. In the comics, there are several characters operating under the name Vigilante. One of them has narrative ties to Deathstroke, who was a major character during Arrow‘s second season, and the CW’s DC shows have tended to mix and match material from various DC comics sources in adapting characters for these shows. What do you think? Do you think Segarra will make a good Vigilante? 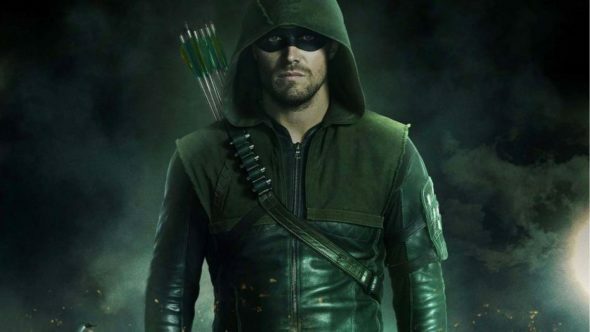 Do you plan to watch the fifth season of The CW’s Arrow TV series.